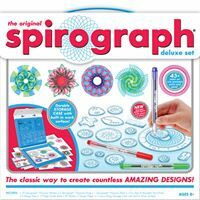 Since it was first introduced in 1965, Spirograph® has made it possible for aspiring artists of all ages to create beautifully intricate designs. Originally developed as a drafting tool by a mechanical engineer named Denys Fisher, the distinctive wheels and rings of Spirograph® cleverly combine the principles of art and mathematics in a way that has inspired and delighted generations. Spirograph® toys are a blast! Even as an adult I love these! 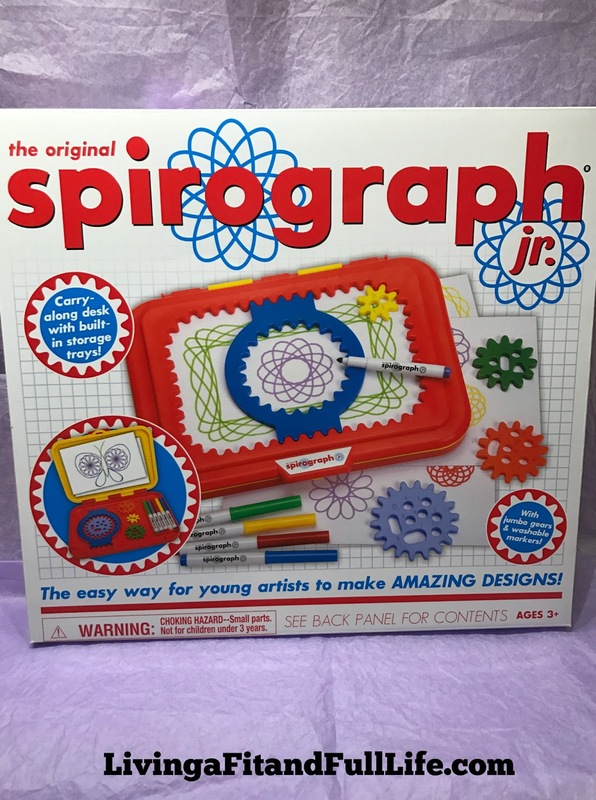 Spirograph Jr. design set is perfect for little ones and entertained my daughter for hours while I completed some online holiday shopping. Spirograph Jr. design set comes with easy-to-use gears, 5 washable markers, 24 pages of design paper and handy instruction guide. 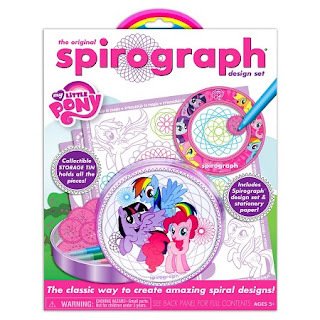 My Little Pony Spirograph collectible tin design set is also a blast and comes with a My Little Pony Spirograph ring and 6 precision Spirograph wheels. 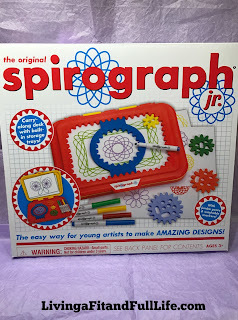 The Spirograph pieces work with the 3 included markers as well as with most standard pens, markers and pencils. I also love that both of these sets come with cases to contain all the fun. 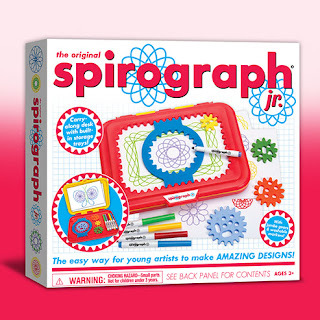 Spirograph creates amazing spiral designs that both kids big and small will love this holiday season!